Although this is operated by Malawian Airlines, I booked it as an Ethiopian Airlines. I was booked in economy, but got a gate upgrade to business class. 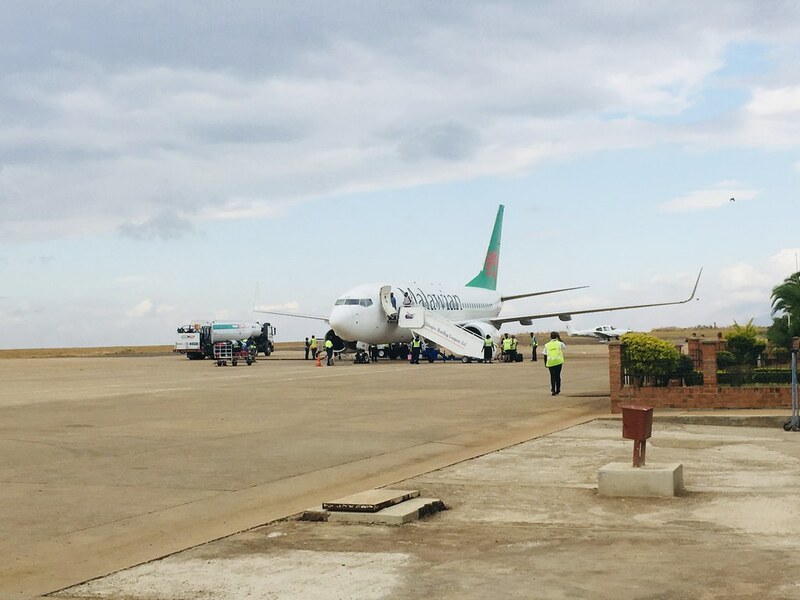 There are 7 seats in business class on Malawian Airlines Q400 from Blantyre to Dar Es Salaam, with 3 single, business class seats (1-3 A) seats, and 2 sets of two seats (rows 2 and 3, seats J & L; J is aisle, L is window). There is one very small lavatory for business class right at the front. As a Q400, there is very limited cabin space. Although there were only 5 passengers in business class, cabin space filled up quickly. As I had a bulkhead seat, I had to find stowage for my two bags (one carry-on and a “laptop” bag). I was assigned Seat 2J. 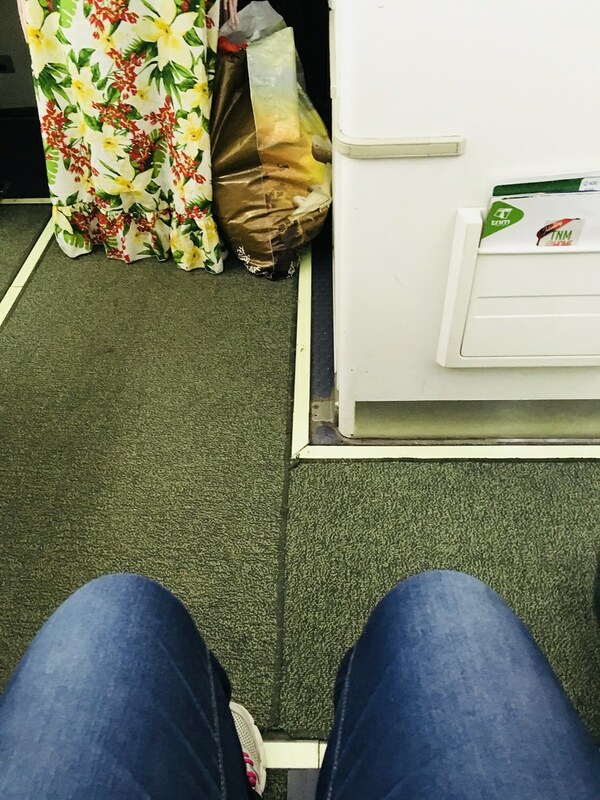 Seat 2J is actually a bulkhead seat, so I had plenty of legroom. 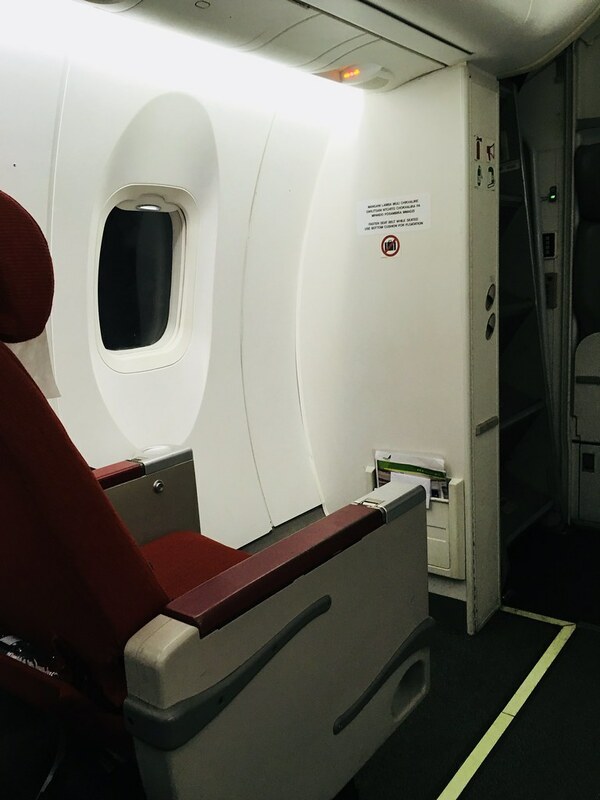 The leather seat is basically the same as comparable Q400 flights, meaning, it is comparable to US domestic first class seats on older aircraft, or the same seats as my Premium Economy flight on Aerolineas Argentina two years ago. 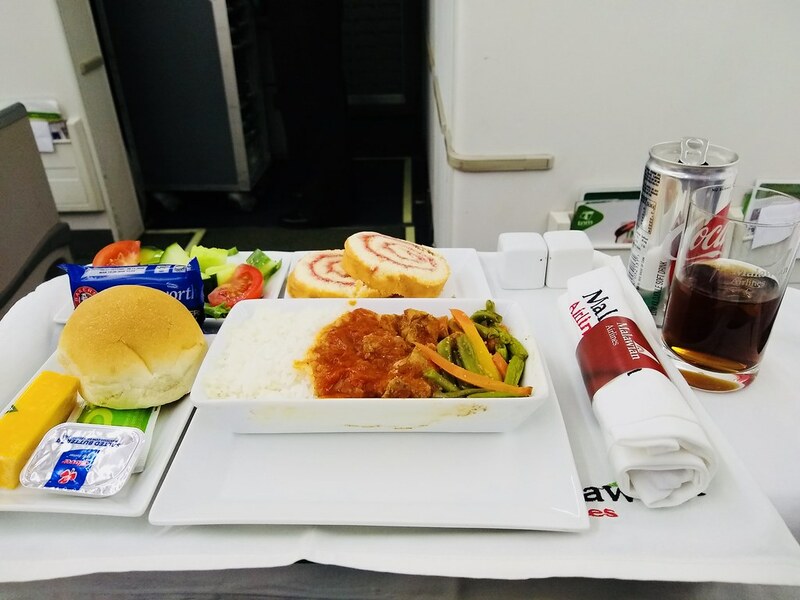 After take off, the flight attendant came around to take dinner and drink orders. She served drinks first, before plating up dinner individually. Choice was either chicken or beef. The cabin was pretty tight, she actually plated up the food on seat 1A. The food actually looked the same as the food in economy, but served in real plates. I opted for the chicken this time. I probably wouldn’t pay extra to fly business class. The economy seats are tighter, but I’m a small person, so it makes no difference to me. But thanks for the upgrade anyways!